The Blair School District was established formally in March 1883, named for the maiden names of two early settlers, Mrs. John Spiers and Mrs. James Spiers. A one-room schoolhouse operated at NE23-10-25W in what is now the Rural Municipality of Wallace-Woodworth. The original building was replaced by a wood frame structure in 1907. It was closed in June 1947. Before it reopened in 1950, the building was moved from its foundation onto a newly built basement. 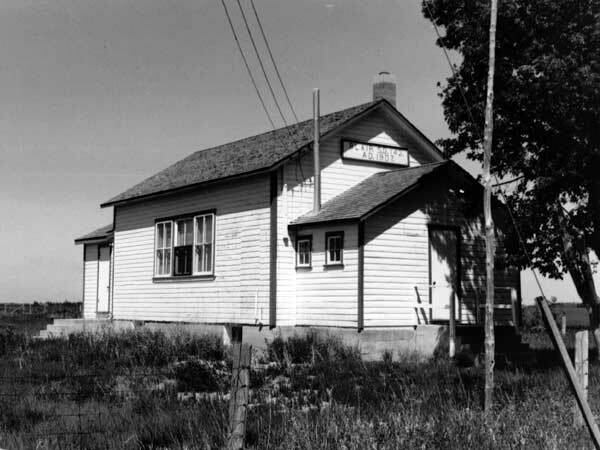 It closed permanently in June 1965 when it was consolidated with Virden Consolidated School No. 144. The school building stood empty for several years before being used during the winter months of 1976-1977 for agricultural diploma courses sponsored by the provincial government. It was destroyed by fire in 2007. A stone monument unveiled on 30 July 1989 commemorates it. The teachers of Blair School included Arthur Moody,	Miss Eva Reid,	Miss Elizabeth Robb, Mrs. A. Zarn, Miss Brady,	Miss R. W. K. Elliott, Miss Emma Stewart, Mrs. R. Findlay, Mable Hendry, Miss Hume,	Miss May Goodwin, Miss Edna Bolton (1944-1945),	Miss Margaret Taylor (1946), Miss Mary Abbey (1947), Miss Mable Forysthe, Miss Nellie Pawlyszyn,	Miss Elizabeth Cousins,	Miss M. Penny, Miss Bessie Logan, Miss D. McIntosh,	Miss McLenehan, Miss M. Cowan,	Miss Maggie Elliott,	Miss L. Bays, Mrs. M. Walton,	Miss R. Cairns, Miss Todd, Miss Doris Warren, Mrs. K Davison, Mrs. Elmer Anderson, and Miss June Miller. Source: Archives of Manitoba, Architectural Survey - Virden District 22. 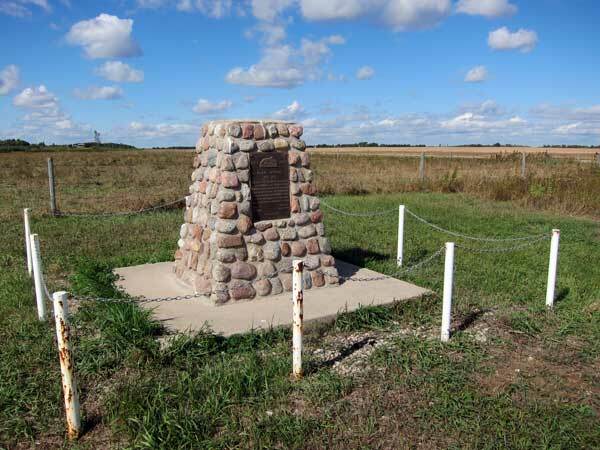 Proudly We Speak: A History of the Rural Municipality of Woodworth, 1878-1967 by Dorothy Vipond. Kenton: Woodworth Centennial Committee, 1967, pages 117-119. We thank John Fefchak for providing additional information used here. This page was prepared by Gordon Goldsborough and Garry Draper.